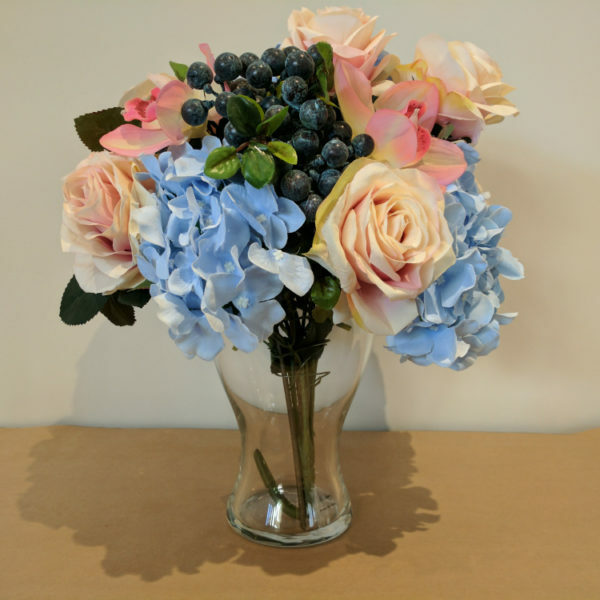 Luxurious Display Flower Arrangement including silk soft pink Roses, silk Hydrangeas, real touch Cymbidium’s and Blueberry bunches displayed in Glass Vase. 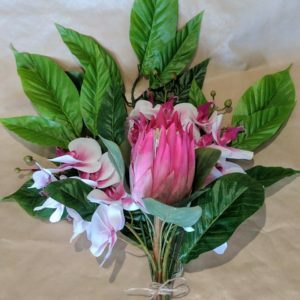 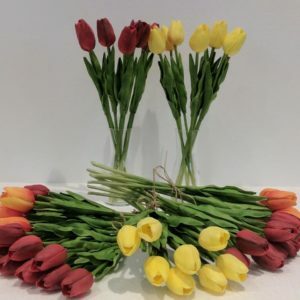 A beautiful and luxurious flower gift! 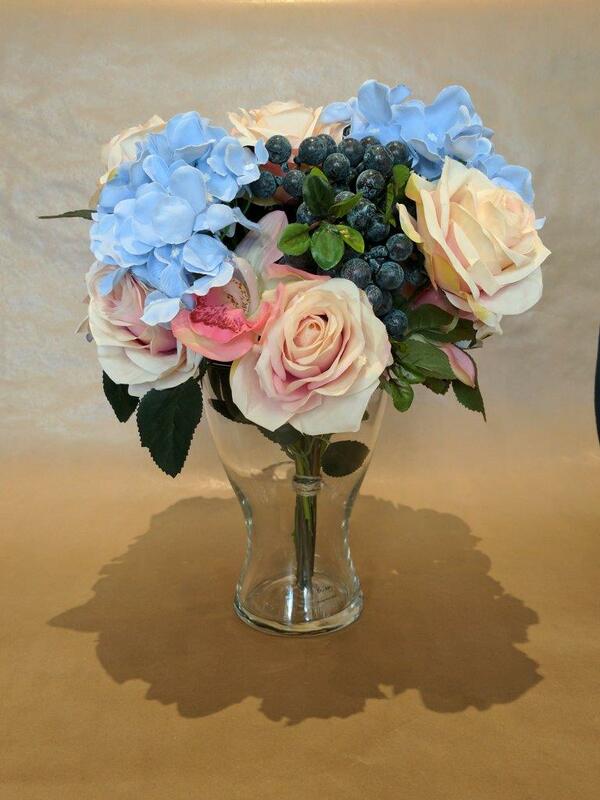 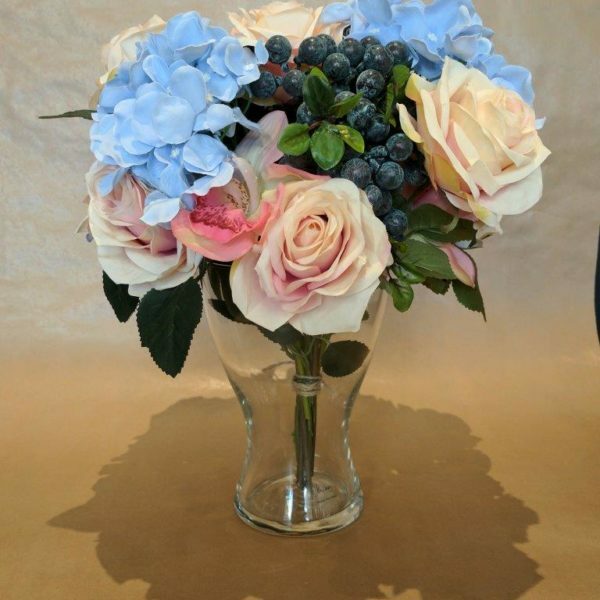 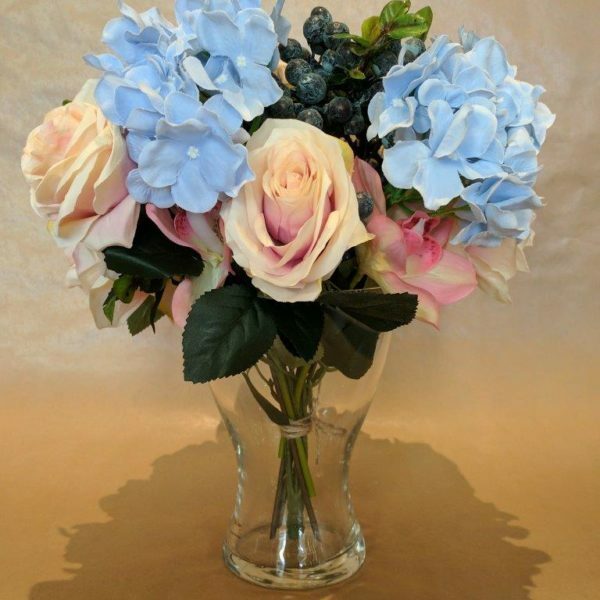 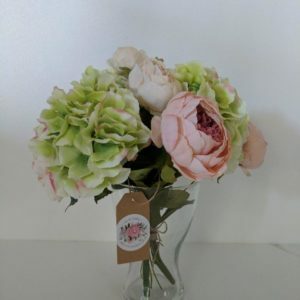 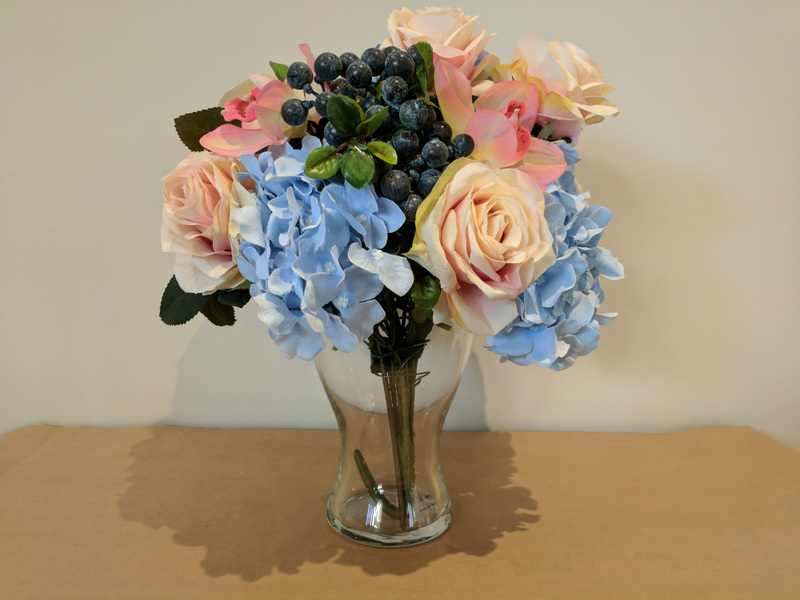 This beautiful Flower Arrangement includes silk soft pink Roses, silk Hydrangeas, real touch Cymbidium’s and Blueberry bunches displayed in Glass Vase. 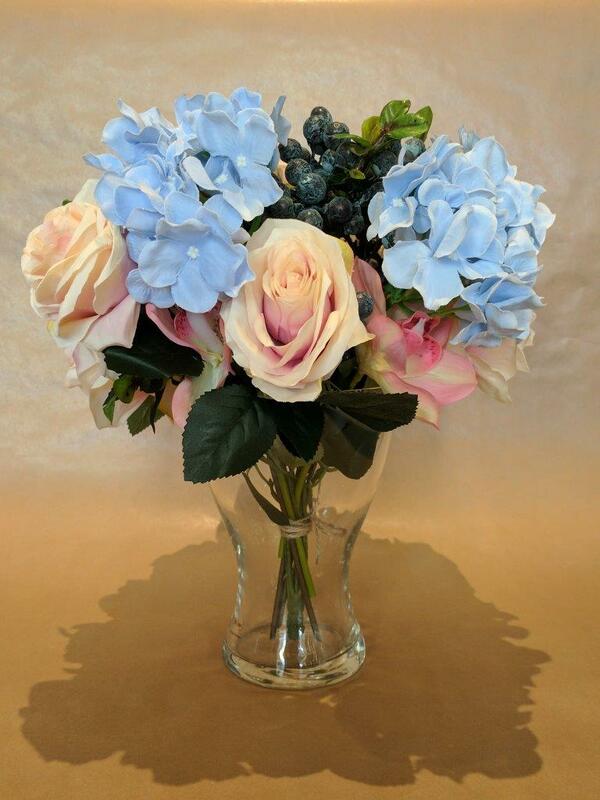 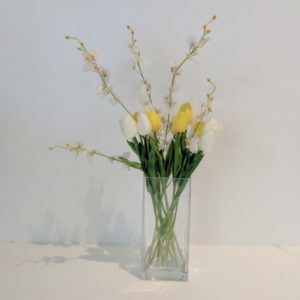 A beautiful and luxurious Gift of Display flowers.